Ronnie Peterson gave Lotus its second win in three races with victory at the South African Grand Prix, a race in which the lead changed a number of times. Peterson trailed Patrick Depailler until three laps from the end when the Tyrrell suffered from fuel problems. The event, which by this time was attracting increasing criticism on political grounds, had been in doubt until the month before, as organisers struggled to attract sponsors, but with covert government backing it was able to go ahead. Even then, there was a chance the drivers would refuse to take part after they arrived to find the catch fencing in a state of disrepair. The first practice session did not take place, and even when that issue was resolved, there was a further delay while drivers demanded the starting grid be moved. The chaos even spilled into the horribly cramped press box where there was a fight among journalists over the few spaces available to them. Lotus had been scheduled to unveil its new Lotus 79 but Colin Chapman decided to stick with the previous year's model, much to the annoyance of Mario Andretti who publically moaned the Lotus 78 was no longer good enough. 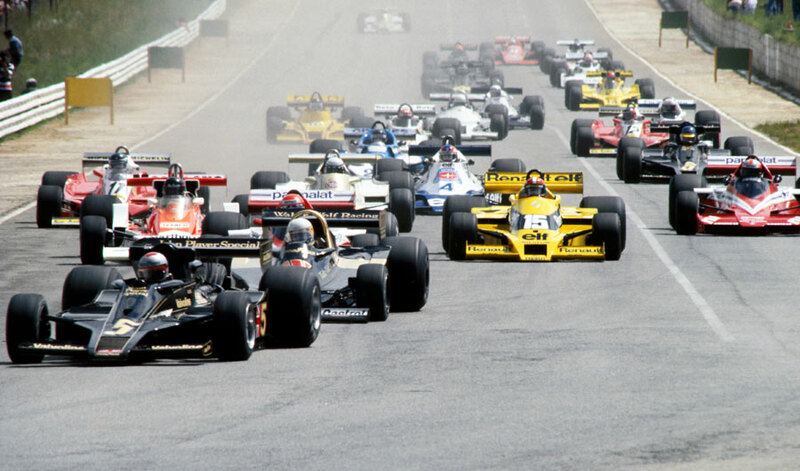 Even so, Andretti qualified on the front row and took an early lead from pole sitter Niki Lauda, but the Lotus began to misfire and that allowed Jody Scheckter to take over. He held the lead for five laps before he in turn was overtaken by the Arrows of Ricardo Patrese. Given that the Arrows had been built in 60 days between November and January, that was a tremendous achievement even if it was forced out 13 laps from the end with engine problems. By then Scheckter's day was over as he had spun off, while both Ferraris came to grief on the 55th lap - Gilles Villeneuve with an oil leak and Carlos Reutemann more spectacularly when his car clipped Patrick Tambay's McLaren, slewed into catch fencing and, as Reutemann scrambled clear, caught fire.